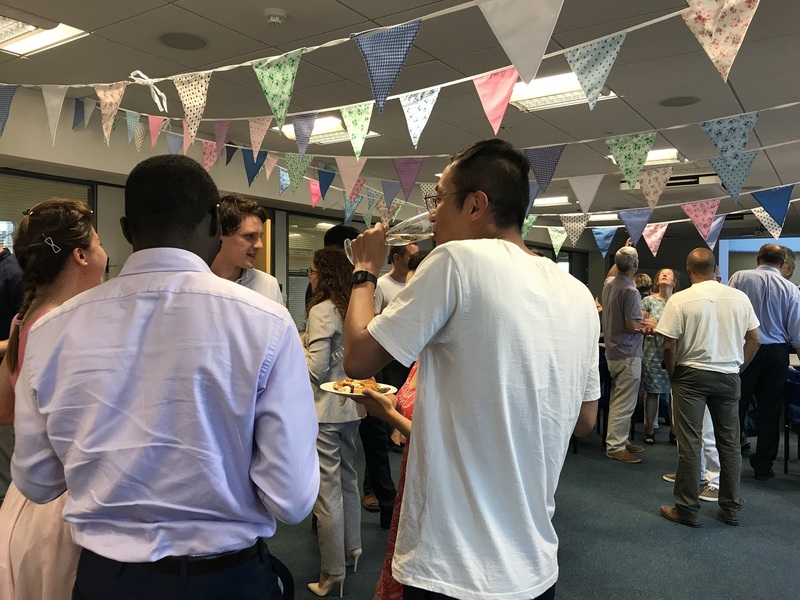 Last Week, the Centre for Environment and Sustainability (née Centre for Environmental Strategy) celebrated informally and convivially her 25th birthday. As its 4th longest-serving member, I was nudged at very short notice to share some reflections with a friendly group, some of whom I missed cracking jokes with for almost 2 decades and many of whom have not been back to CES for many moons; reminiscing on the journey travelled since departure, and what happened to the place of origin that now looks somewhat strangely familiar and somewhat strange. It was a warm, kind, engaged moment full of laughter and the inevitable “is it that long?”, the cautious “what happened to…. ?” and a generous sprinkling of pictures most of which far too embarrassing to be described here. Each language has some words that defy translation, and Treppenwitz (“staircase humour”?) is one of those – it describes all the really witty and poignant assertions and ideas that one suddenly remembers, long after the end of the event, as you are walking home down the stairs. My reflections at the time were politely appreciated but the whole thing was a Treppenwitz – afterwards, as usual, there were so may ideas that I could, I should and I must have mentioned that the sadness of a deeply symbolic moment turning into one wasted opportunity nudged away the warm glow of fond memories shared with friends who were gone now, but never really have gone away. – when I had a really major row with somebody and won. Two points here: One, nobody said “when the University promoted me”, so we pursue careers outside promotional, instrumental reasons. Second our jobs are hugely varied to allow such a variety of different skills, competencies and motivations to coexist, and to synergise, under one umbrella and with such remarkable success. And success we had and we have! We have several pioneers in their respective fields, who not only trailblazed their field, but have been pathway-making consistently, repeatedly and with marked effect on the organisations, policy-makers and individuals who learnt and listened. It is testament to the “strength in depth” that CES fostered, nourished, supported such eminent heavyweights (and I don’t talk BMI) to not just be at the forefront in their field, but to help define it, to push it forward, to shape the necessary questions that need to be asked. And to keep the “guess who?” game alive, I can count at least 3 of these, and, certainly, I am not amongst them. But I had the privilege, and occasional yet reticent enjoyment, of standing quirkily in their reflected glory over the years. And anybody who witnessed competitions in Haikus, inspired karaoke performances of newly-texted songs or the joy of reciting raunchy passages from Icelandic sagas knows that such success is based on vast and nurtured knowledge that is brought out in supportive environments. And sometimes a bit of alcohol during retreats. Such success and diversity of motivation is not down to luck – that would be a lottery win worth celebrating as well – but is down (or up?) to a careful and heavily-worked on juxtaposition between the individual and the group: We all have our own disciplines, paradigms, methodologies, epistemologies and basic approaches to that beast of a topic – sustainability – but we all appreciate the other person’s perspective as legitimate and heuristic, and we try not to shout down others, or discriminate work for their poor English – something I am particularly grateful for. Tolerance and working to support each other is essential for any of the personal, and individual, and deserved successes that motivate us to pretend Sisyphus was wrong yesterday. – a concern for urgent improvements towards sustainability that, as a value, defines us as individuals in society, but also the future of our lifestyles and the planetary systems we leech of. – a naïve believe that we can make a meaningful difference towards a positive tomorrow, a nicer world, a better place, a smarter way of “living well within our limits” (including the elegant ambiguity worthy of a different blog of whether we should live really well or should live very clearly within the limits?). And for most, a track record on making changes that belie the very naivety. – a passionate disregard for authority in the quest for practical answers. – a sense of humour and a quirkiness that is based on shared values and an understanding that photographic evidence for some parties are better never generated in the first place. – a joy of listening, of trying things out, of experimenting, of figuring out what works and what does not. So CES has seen many people come and go, has tried to figure out problems with inherent creativity, lateral thinking and burning the midnight lamp at both ends – and of mixing too many metaphors than is good for the argument. Yes, the many hours most of us spent staring at the computer with inevitable social, family and personal opportunity costs should not be forgotten. For every shining and bright star within CES, there are individuals who support, contribute, chip in, “leave alone” etc that make such stellar performance significant, some are even peers. All gratitude and thanks to such friends who never quite get the praise and recognition they deserve. And this is in addition to the hundreds of people who we taught who, I assume arrogantly, carry some of our core ideas further than we ever could. I have not seen a place that comes close to our uniqueness. It would be remarkable to meet one. 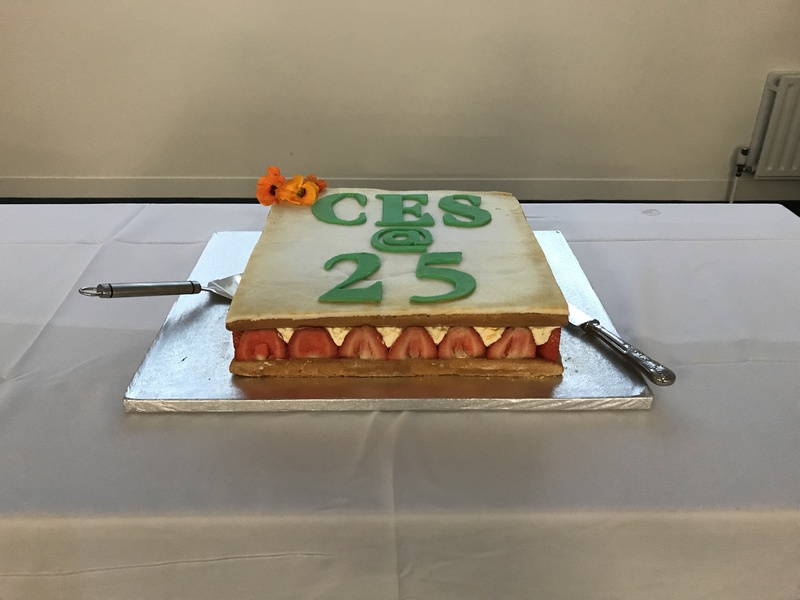 But there are (at least) two assumptions within this that are changing and thus worth considering: one is that our constellation of (work and environmental) ethics uniquely coalesce towards the remarkable beast that is CES; the other is that CES is today as it was 25 years ago. Both are wrong, both ask questions about the fabric of CES in and for the future. Our first challenge was survival and establishing ourselves and we can look back with the deserved pride of reflecting an – evidently – successful start and genesis. Our next challenge is pushing the agenda and the narratives further again and again and with the generous and very appreciated network of individuals and organisations that we met and who like us enough. And doing that with skill and style in a way that allows individuals to stare retirement down without CES getting sclerotic. This, coincidentally, is the agenda that emerges when baby-boomers meet sustainability. Enjoy the next ¼ century. It’ll be great.